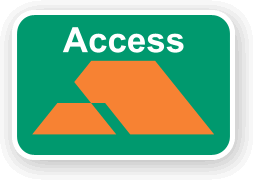 Access was a credit card brand originally introduced in the United Kingdom in 1972 by a consortium of National Westminster Bank, Midland Bank (now HSBC), Lloyds Bank (now Lloyds TSB), and The Royal Bank of Scotland, as a rival to the established Barclaycard (VISA). It was also issued in both Northern Ireland and the Republic of Ireland by Ulster Bank, a subsidiary of NatWest, Northern Bank, then a subsidiary of Midland; and Bank of Ireland, which was unconnected to the founder banks. The card scheme was run from Southend-on-Sea in Essex, England, by the Joint Credit Card Company Limited. It participated in the Eurocard/MasterCard systems.Europay International SA has since been taken over by MasterCard International itself. The Company was founded on 30 May 1848 in Hatton Garden in London as The Prudential Mutual Assurance Investment and Loan Association providing loans to professional and working people. In 1854 the Company began selling the relatively new concept of industrial branch insurance policies to the working class population for premiums as low as one penny through agents acting as door to door salesmen. The army of premium collection agents was for many years identified with the Prudential as the “Man from the Pru”. Girobank was a British public sector financial institution founded in 1968 by the General Post Office. It started life as the National Giro but went through several name changes, becoming National Girobank, then Girobank Plc (latterly trading as Alliance & Leicester Giro), before merging into Alliance & Leicester Commercial Bank (now part of Santander Corporate Banking) in 2003.